We worked hard on our strawberry ice cream to make sure it was packed with as many berries as we could fit. 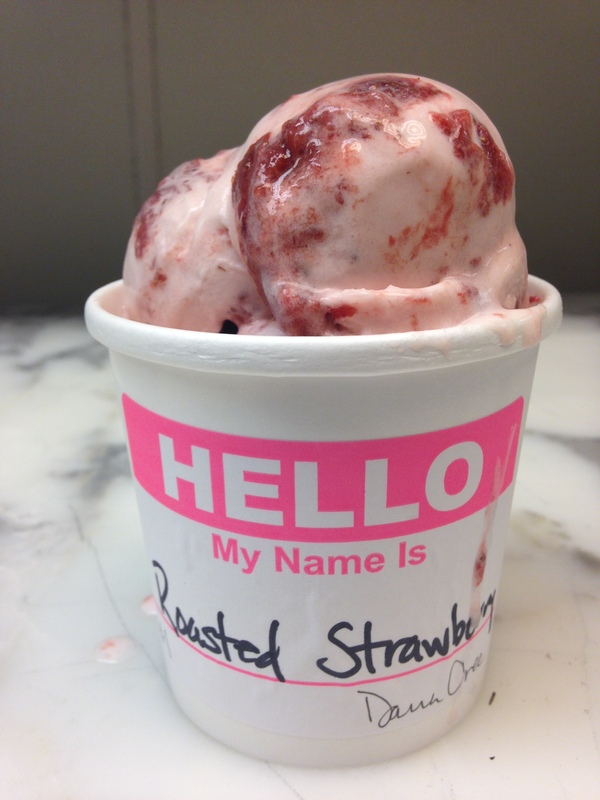 Somewhere between a sorbet and an ice cream, our strawberry ice cream is 25 percent strawberry and brightened even further with a healthy dose of buttermilk. For our Roasted Strawberry flavor, we we upped the ante by running ribbons of jam through the ice cream, made by roasting strawberries and sugar in the oven until the berries were thick and sticky with intense strawberry flavor.